An Ansonia woman was hospitalized after she failed to negotiate a curve in the road and lost control of her vehicle, going off the left side of the roadway and rolling at least once before coming to rest in a field. 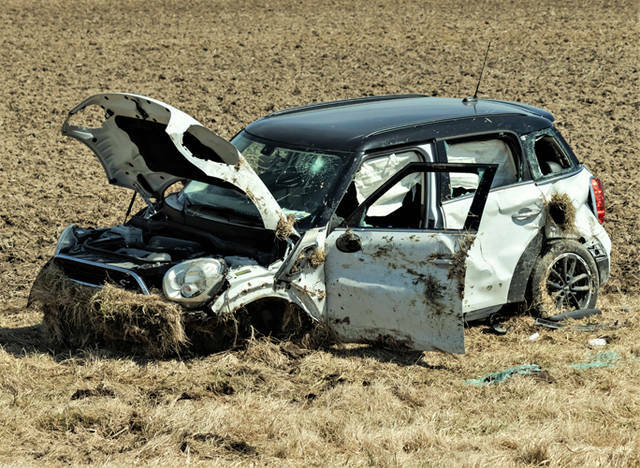 LIGHTSVILLE – A one vehicle rollover accident Wednesday afternoon in northern Darke County left a driver hospitalized from her injuries. At approximately 1:45 p.m., emergency personnel from Union City Rescue along with Southwest Mercer Fire Department and deputies from the Darke County Sheriff’s Department were dispatched to the area of State Route 49 and Light Road, just north of Lightsville, to a single vehicle rollover accident with injuries. 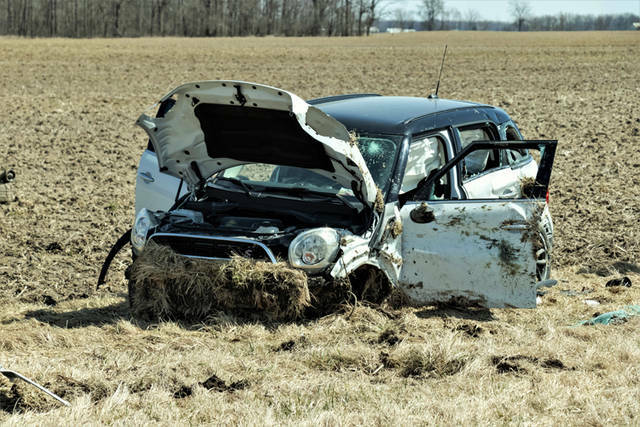 According to the Darke County Sheriff’s Department, preliminary investigations into the accident revealed a 2015 white Mini Cooper Countryman, driven by 57-year-old Lori Sanders of Ansonia, was traveling southbound on State Route 49 when she failed to negotiate a curve in the road and lost control of the vehicle, going off the left side of the roadway. 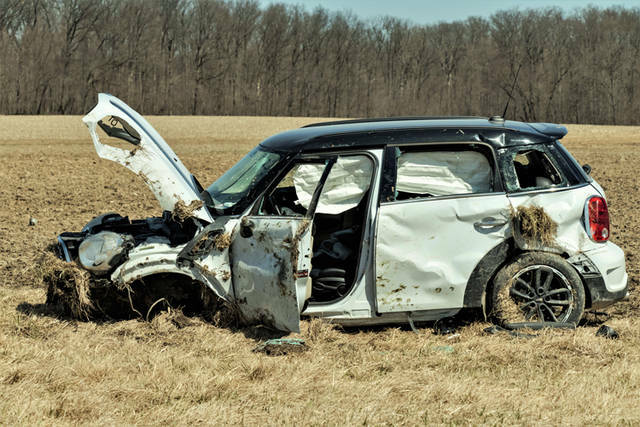 The vehicle is thought to have rolled at least once before coming to rest in a field. Sanders, the sole occupant of the vehicle, was treated on the scene by Union City Rescue and transported to Wayne HealthCare for her injuries. Sanders later was transferred to Miami Valley Hospital in Dayton where her condition is unknown at this time. This entry was tagged Ansonia, crash, Darke County Sheriff’s Department, Darke County Sheriff’s Office, Miami Valley Hospital, Southwest Mercer Fire Department, Union City Rescue, Wayne HealthCare. Bookmark the permalink.